The Gainz token platform is a ERC-20 token & Ethereum based smart contract network that currently works with a real FitBit device. Gainz token is “mined” by physical work and distributed when goals are completed. 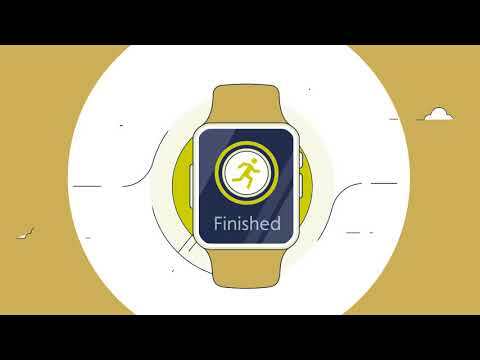 The smart contract technology allows personal trainers and fitness influencers to challenge other influencers in a step/calorie/distance FitBit challenge, winner takes all the tokens on the wager. The Gainz Token network is a blockchain product that you can use to create fitness challenges. The python backend continuously updates from the fitbit servers. The live fitbit continuously pushes data throughout the day. Once the data is on the fitbit servers you can access it from the Fitbit API library once a user inputs their users credentials. Once a user registers with fitbit, you input your users credentials into our platform. Our python code wraps up that fitbit data into a “data frame object” which can be easily used in our smart contract solidity program. The GAINZ Platform is the world’s first proof of physical work cryptocurrency in the growing IoT (Internet of things) sector. GAINZ is an ERC-20 token and Ethereum based smart contract network that will run on our platform. GAINZ token is “mined” by physical work and distributed when goals are completed. GAINZ currently works with your FitBit device and logs users’ progress and allots GAINZ tokens to users based on challenges undertaken within in our App. Our goal is to motivate our users to improve their fitness and reduce their health insurance premiums. We intend recording personal workout data on the blockchain and presenting the data to corporations and health/life insurance in a logical and effective manor. approach the companies listed within this White Paper. steps, with different durations, commission rates, and sizes. manufacturers, who will eventually lead us to their customers. very great interest to our influencers.